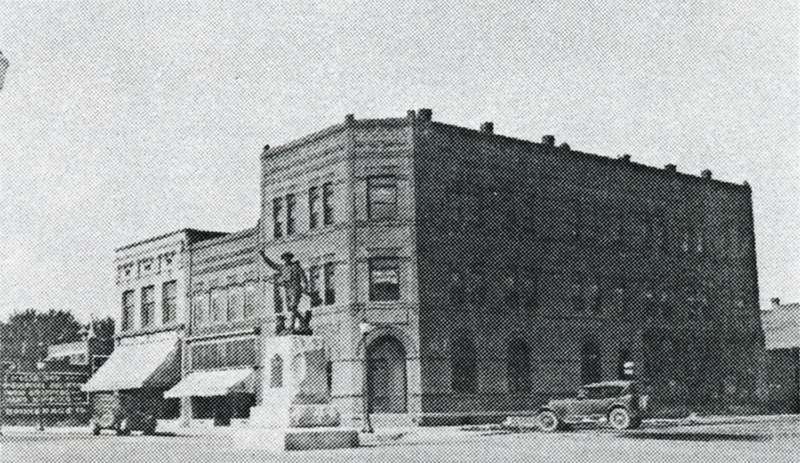 Doughboy Statue (1920) and Former Two and Three Story Brick Buildings on Southwest Corner of Center Avenue and 8th Street. There was a major change in Payette’s transportation system in 1961 when Interstate 84 by-passed the city and the 7th Street Overpass was built over the railroad tracks. (See Transportation, page 18.) Other recent changes in the 1960s included a new U.S. Post Office and the loss of a number of the city’s packing and canning businesses. The 1970s saw numerous new facilities built including a library addition, new County Courthouse, high school dome gymnasium, swimming pool complex, city airport, sewage treatment plant, and Payette County Museum. Today, Payette is known for its, bountiful crops, large shade trees, of which there are over sixty varieties, beautiful flowers, and its yearly Apple Blossom Festival. 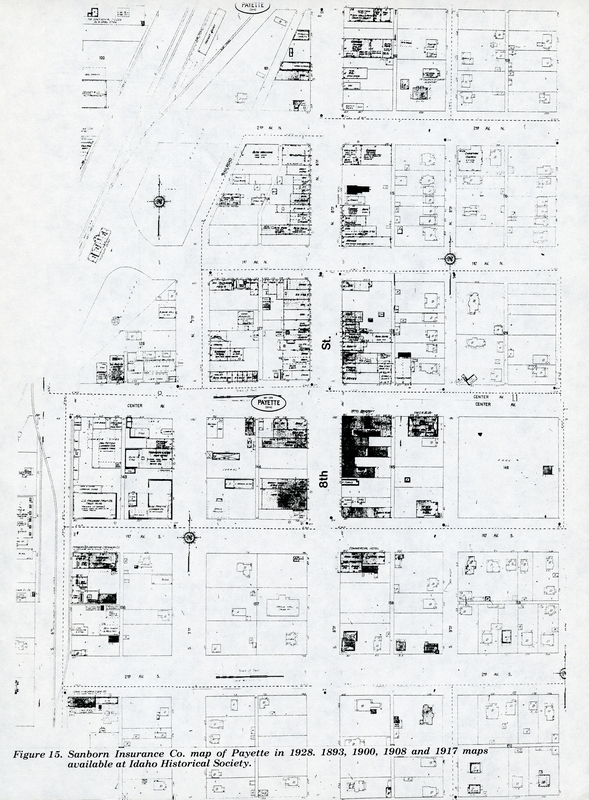 Sanborn Insurance Co. Map of Payette in 1928, 1893, 1900, and 1917.